We’re experts in coffee agriculture and roasting but we’re also great friends with our partner farmers. We jointly develop a long-term plan to maintain and improve upon the quality of their coffee crop year after year while also focusing on environmental and social responsibility on their farms. Our coffee is strictly premium, Arabica beans grown at high altitudes of 3000 ft. or higher. All of our coffee is also 100% shade grown under a canopy of native trees. High-altitude, shade-grown coffee makes a more complex and delicious cup of coffee. Our coffee is picked by hand so that only the ripest, red cherry is harvested. It’s then processed with techniques that result in the highest quality coffee bean. Our first roaster was trained by Alfred Peet who founded Peet’s Coffee. From him, we learned the nuances and artistry to coax the maximum flavor from each unique coffee and blend. Since then, we have spent over 30 years perfecting and improving upon this technique. Every day we marry this experience and state-of-the-art technology into an art form to produce not only the very best possible flavor profile from each coffee, but to do it consistently every time. With any Rogers Family gourmet coffee brand, you’ll enjoy a premium cup of coffee perfected over 3 decades. 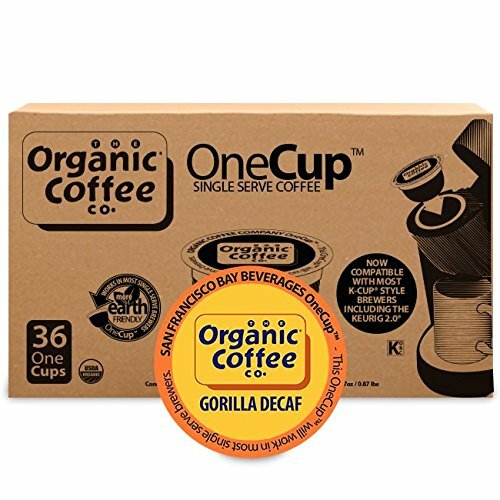 Our Organic Coffee Co. brand offers you outstanding quality and value with an unparalleled commitment to sustainable agriculture and trade. We offer a rich assortment of premium gourmet coffee, as well as exotic single-origin coffees from Central America and Africa and a great lineup of flavored coffee. Your purchase of Rogers’ coffees and teas help us fund our “Community Aid” program that helps to break the cycle of poverty in the towns where we buy our coffee and tea. Through Community Aid, we’ve built schools, worker housing, medical clinics, and day care centers as well as funded scholarships, teachers, and doctors’ salaries.